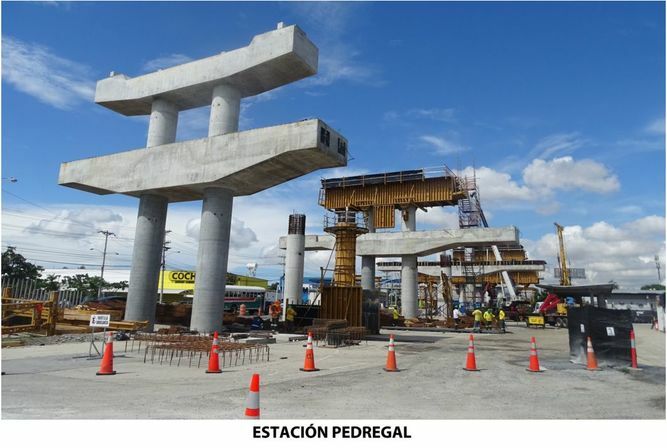 The Panama Metro Secretariat reported that the works of Line 2 show an increase of 22%. Through a statement, the institution announced that remain open 20 work fronts, working on the construction of 11 of the 16 stations will line 2. “The stations construction are: Cinquantenaire Villa Lucre, Cerro Viento, San Antonio, Pedregal, Don Bosco, Airport, Las Mananitas, Hospital del Este, Altos de Tocumen and New Tocumen them, working on the construction of structures that will support it, as piles, columns and capitals lobby and platform, “says the document. On average each season takes two years to build. They have a length of 100 meters long with 20 to 30 meters wide. Like on Line One, they will have duly authorized access and facilities for disabled elevators, escalators and stairs fixed. In the middle of last month, the president of the board of Metro de Panama, Roberto Roy, said that the visit of Pope Francisco to Panama in 2019, accelerate the construction of line 2, and its extension to the International Airport Tocumen. The Pope’s visit is framed in the World Youth Day, an event attended by between 500,000 and expected a million people. “We have a circumstance that had not before is the visit of Pope Francisco to Panama in January 2019. Metro Line 2, has to be fully ready by 31 December 2018. That accelerates the project was originally for April 2019. that requires additional resources, “said Roy, without specifically detail the amount that accelerate the construction cost of the project four months.